Simple but effective – that’s the key to this week’s School Jotter of the Week. Heckmondwike Primary School’s colourful website represents a school that promotes respect, empathy and tolerance, and which is situated within a multi-cultural community in the heart of West Yorkshire. As we’ve seen on other school websites before, one of this website’s greatest strengths is the use of high quality photography on the homepage – this is becoming increasing popular as a way of illustrating a school at its best. In terms of content, Heckondwike Primary School have chosen to keep things straightforward; all the information any new parent would need is here, from staff information to a brief ‘about us’ – which covers the schools, its history and the community. This is a welcoming, easy to navigate school website that represents a friendly local school – and we love it! 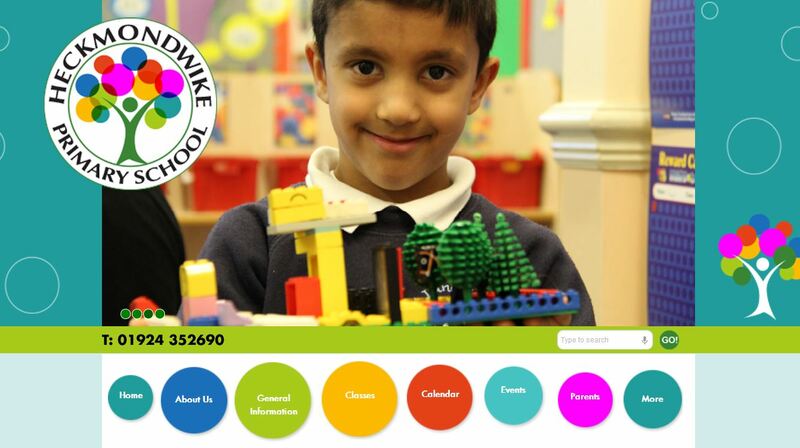 You can take a look at Heckmondwike Primary School’s website here. If your school wants a colourful, easy to use website design get in touch with us today, and get a free School Merits online reward system when you book a demo.